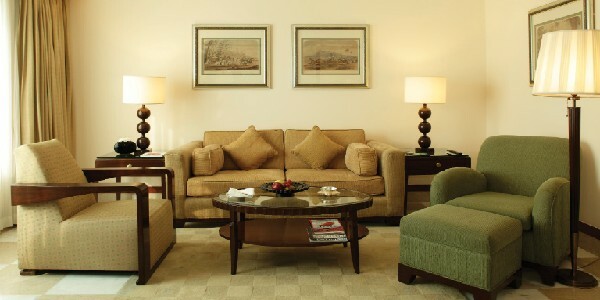 ITC Maurya ,New Delhi has been the preferred residence of visiting heads of state and global business leaders for over 25 years. This extraordinary hotel combines an historic aura with contemporary facilities to create an unrivalled luxury hotel experience. 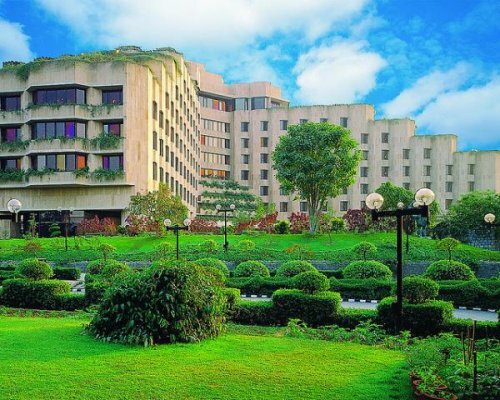 Situated in the heart of the exclusive Diplomatic Enclave and surrounded by views of Delhi’s green belt – the forested ridge, our business hotel is a convenient 14 kilometers (25 minutes) from the International Airport. An imposing structure of timeless luxury boasts inspiring architecture and a majestic ambiance – a tribute to the age of the great Mauryan Dynasty, which created the golden era of Indian history. 440 rooms, including 29 uniquely-designed suites, are available in a bouquet of room categories, from the Executive Club which pioneers a tradition in corporate hospitality to the Towers’ eight luxurious floors of elegance and tranquility. The Luxury Room combines the best of opulence, space, and service standards and the ITC One – our premium room category – offers magnificent decor, impeccable service, and the latest in modern conveniences and amenities. 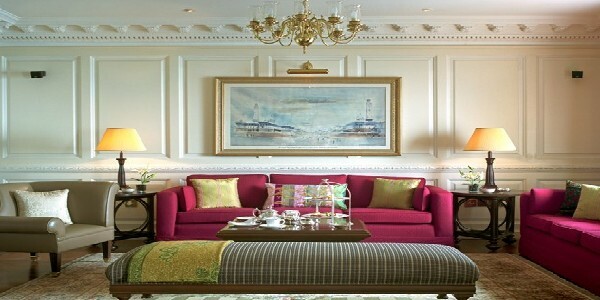 Behind the lavishness is a crisp efficiency and a deep understanding of the needs of the global traveler. 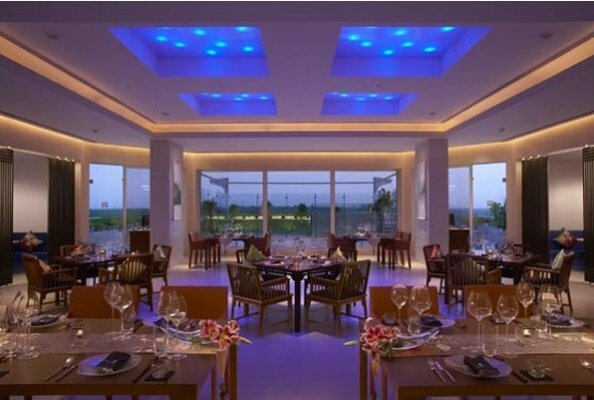 One of the most popular dining destinations in the city, The Maurya, New Delhi additionally offers an assortment of internationally acclaimed cuisine. India’s culture lies at the heart of the Indian experience….. Journey through this majestic land of ancient customs and rituals, and recapture the spiritual and medicinal legacies that have been handed down through the centuries. 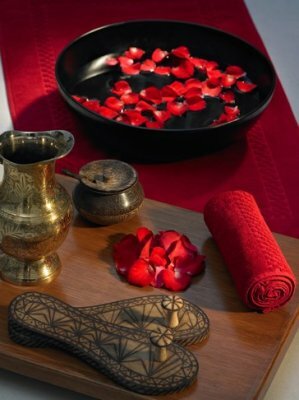 India’s rich cultural, spiritual and ancient traditions are intertwined throughout our treatment menu with healing stones, soothing music and the healing hands of the therapist’s that will be effectively integrated into an experience that is relaxing, rejuvenating and rebalancing to each person on a soul level. Kaya Kalp also offers western style therapies using luxurious products that are natural but deliver the desired effects, and an array of hair and beauty services. The spa’s luxurious interior designs will start your sensory journey as soon as you enter with a delightful aroma and relaxing surroundings, you will walk into a haven of peace, tranquility with unparallel luxury. 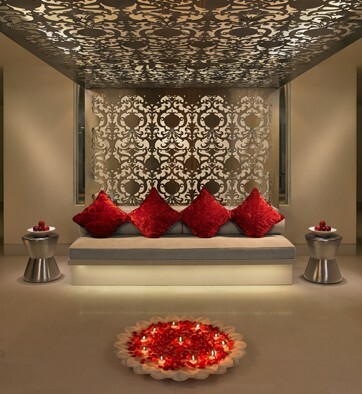 “A visit promises to deliver a journey of relaxation and rejuvenation through a world of regal luxury and pampering”. 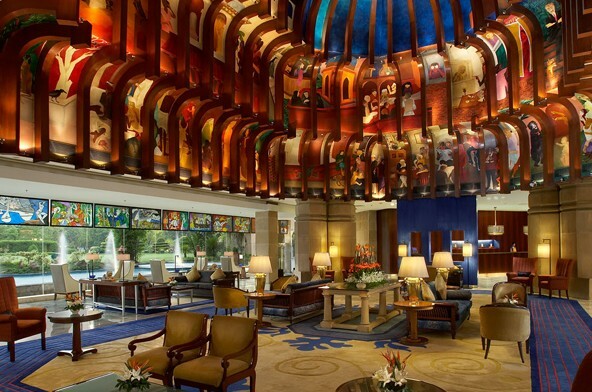 A plus, splendid hall that can seat up to 600 people, state-of-the-hart conferencing options and an outdoor garden venue ideal for exclusive receptions are just some of the banqueting and business events that can be planned in New Delhi in the dignified ambience of a 5 star luxury hotel at ITC Maurya. 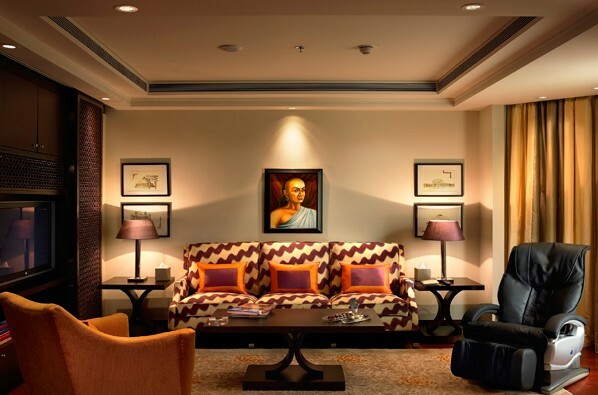 Being the preferred destination of some of the most powerful people in the world on their visits to New Delhi, it is but natural that ITC Maurya has the most well equipped facilities in the city for all your entertainment and business needs. 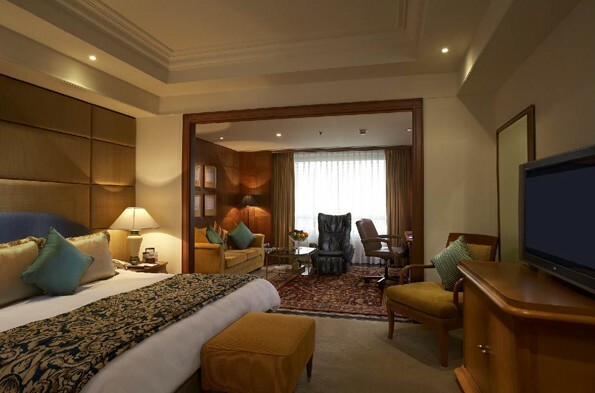 ITC Maurya offers a wide selection of luxuriously appointed premium accommodation that is rated among the best in the city. 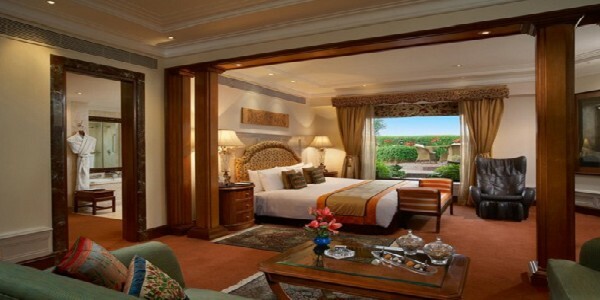 Overlooking sweeping stretches of Delhi’s green cover, this landmark hotel presents 440 luxury rooms including 29 uniquely designed suites in a set of categories, allowing you to choose the accommodation that best suits your needs, when you are in New Delhi. 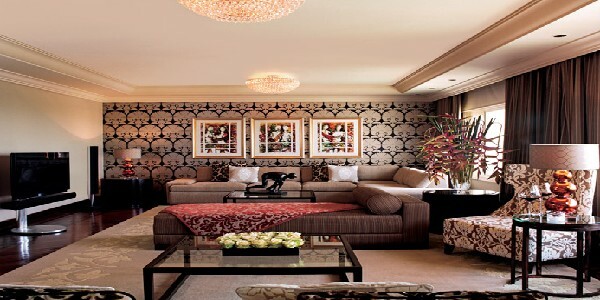 The lavish grandeur of the Grand Presidential Suite at ITC Maurya is hard to match. The undisputed choice of visiting heads of state and royalty, it is preferred not only for its luxurious facility but also for the distinct security advantages it offers. 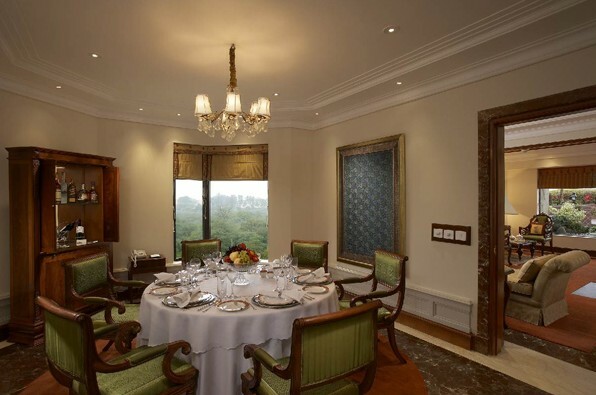 Inspired by Chanakya, the grand advisor to the Mauryan throne who was also considered one of the most brilliant political strategists in the history of India, this sprawling suite aptly measures up to the demands of hosting distinguished guests in decor and ambience. Spread over an entire wing of the floor, with an attachment of separate suites along the corridor for security and other personnel, it can be cordoned off easily for security purposes. 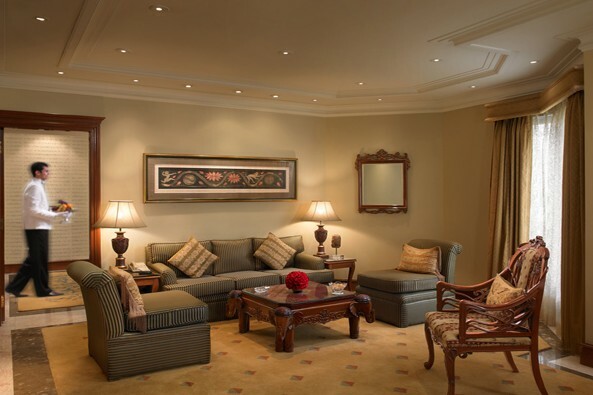 Additionally, the Grand Presidential Suite comes with a bouquet of peerless services for an experience of hospitality that is unsurpassable. 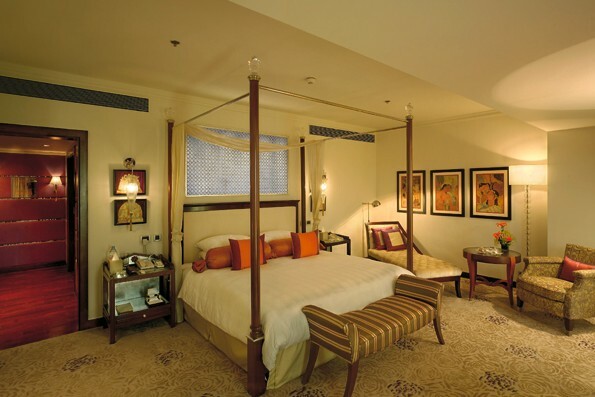 Inspired by the architects of the Mauryan Empire the presidential suites have been named the Chandragupta Suite, the Ashoka Suite and the Empress Suite. While Chandragupta was one of the first rulers to express a refined policy of diplomacy in his dealings with foreign powers, Ashoka continues to be among the most celebrated kings in Indian history, for his humanitarian policies on governance, after the great Kalinga war. 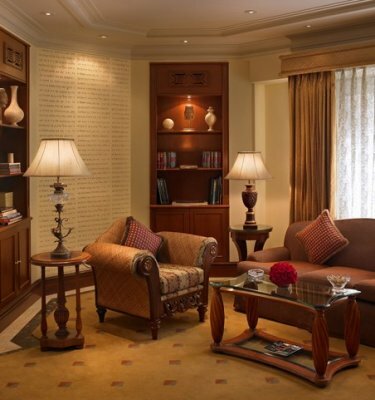 The Presidential Suites at ITC Maurya express a fittingly elegant confluence of royal Indian sensibilities with international standards of refined luxury. 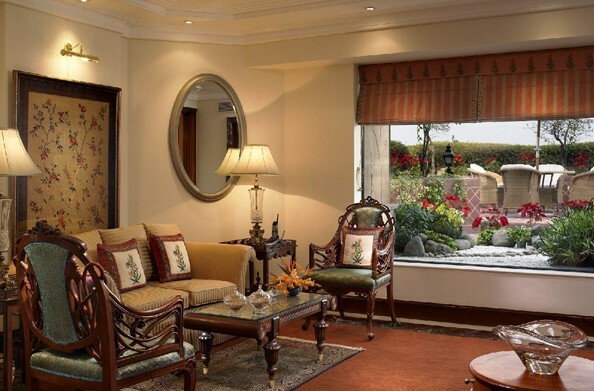 Their exquisite interiors, traditional artefacts and excellent services recreate an ambience of regal luxury befitting the indulgence of our distinguished guests. Spacious and splendid, the suites at ITC Maurya offer a world of regal luxury that comes together effortlessly with world class hospitality, for an experience that is at once comforting like home and magnificently lavish for a taste of royal indulgence. • Access to airport lounges with a “bon voyage” drink. Luxuriously proportioned, well appointed lavish accommodation for corporate leaders, ITC One Pure Room comprises an exclusive wing committed to offering our guests a sense of space and luxury. 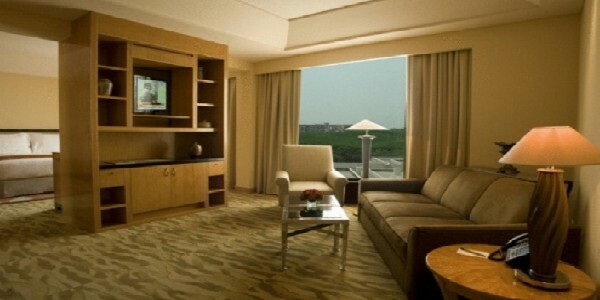 The ITC One PURE rooms offer the amenities and privacy of your very own sequestered residence. These are the first hotel rooms ever in India to be ‘Pure’ – they have been specially purified using a six step process making them allergy friendly. Here the air you breathe in is kept clean and fresh with medical grade purifiers, tea tree oil and pure advanced coil treatment. Housed in a separate wing, with state-of-the-art in-room facilities and an exclusive lounge, it’s a perfect retreat for corporate leaders who need to relax and rejuvenate. 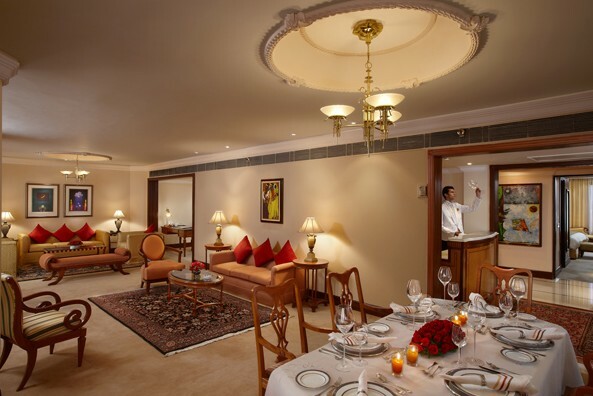 Featuring state-of-the-art, inroom facilities, and access to an exclusive lounge – the Upper Crust, ITC One Pure Room also offers the privilege of the attentive and efficient services of a personal butler. The sprawling Mauryan Chambers are the perfect way to experience contemporary world class hospitality in an ambience of royal Mauryan luxury. Conceived to embody the best of Mauryan artistry, with a careful selection of artefacts, rich fabrics and paintings, the Mauryan Chambers bring you the chance to relive the romance of one of India’s greatest empires with the luxury of state-of-the-art contemporary conveniences. 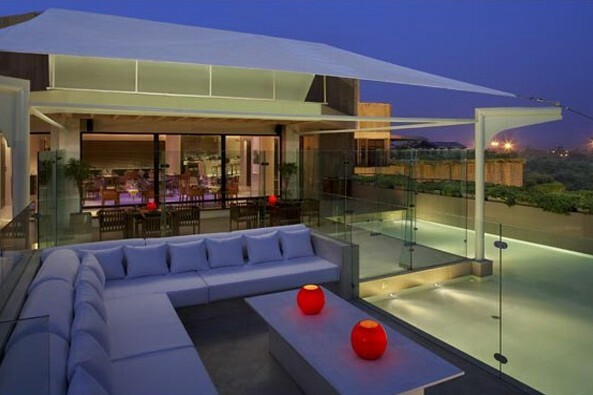 Featuring eight floors of refined luxury, The Towers is a unique expression of a “hotel within a hotel”, designed especially for the discerning global business traveller. Complete with its own reception, Towers Club, library, bar and private boardrooms, which are reserved exclusively for its guests, The Towers also has a special feature suited to the needs of our lady travellers – the EVA floor, which is an exclusive floor for women, manned entirely by our lady associates. • Daily Club Hour at the Towers Club and Dublin every evening from 1800 to 2000 hours. 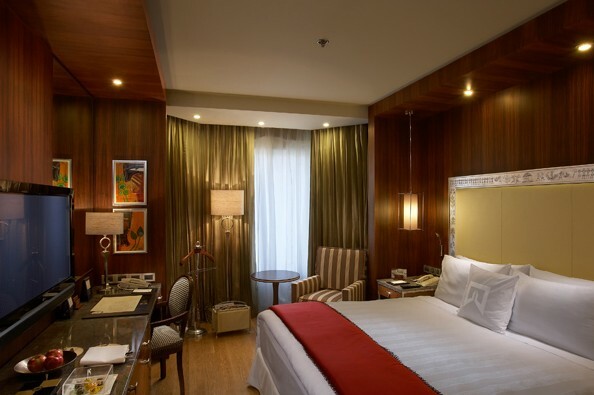 The Executive Club rooms at ITC Maurya offer the perfect option for business travellers. Fitted with the finest of facilities, these rooms afford you access to a fully equipped business centre and the Executive Club Lounge, in addition to the attentive care of our service associates. Over the years, ITC Hotels has earned a reputation for excellence in its culinary endeavours by training the spotlight on the best of Indian and international culinary traditions, distinguishable by their authentic flavours and quality ingredients. 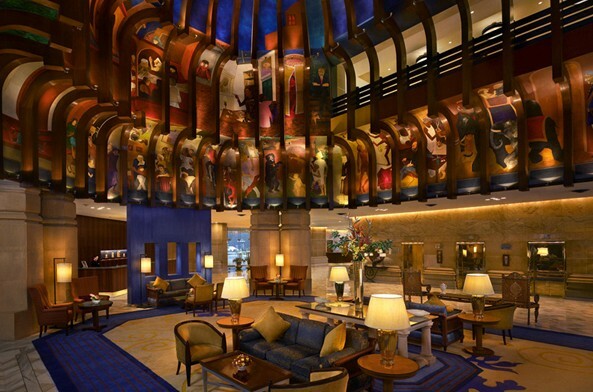 ITC Maurya, particularly, has consistently proven to be the most popular dining destinations in New Delhi. From the robust flavours of the North West Frontier and the refined pleasures of royal Indian traditions, to the delectable flavours from the West and the Far East, all paired with an extensive collection of the finest beverages, the restaurants at ITC Maurya promise an inspiring culinary experience, unmatched by any other in New Delhi. The romance of the rugged North West Frontier comes alive at this authentic, award winning restaurant making it a landmark dining destination in New Delhi. They say, in Ireland, the craicin’ good times never end. And we’ve brought this incomparable spirit of celebration to India, with our authentic Irish pub, Dublin. 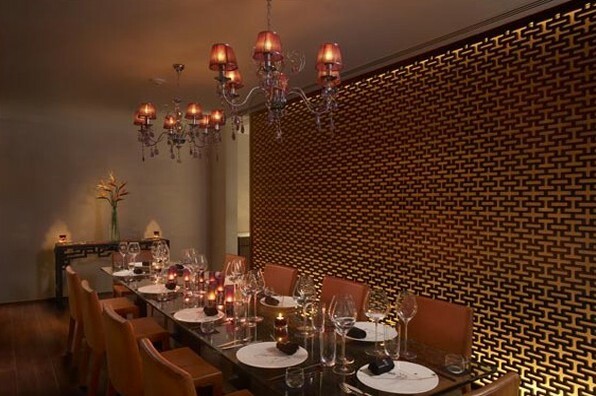 The refined culture of courtly dining has been elevated to a sublime art at this award winning restaurant in New Delhi. A warm ambience that encourages camaraderie and relaxation, the finest selection of wines, whiskies, other spirits and premium brands of cigars from across the world in New Delhi. This elegant rooftop restaurant at ITC Maurya presents a delicate spread of Neo Classical Chinese cuisine, which essentially translates to the sublime marriage of traditional Chinese cuisine with global touches. 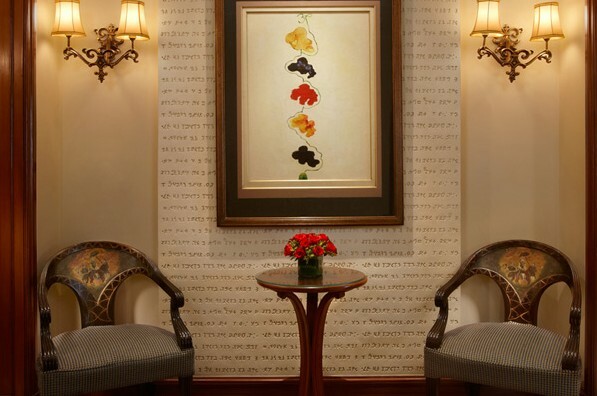 This cheerful 24-hour restaurant offers a fine spread of Indian and inventive international cuisine in a spacious and affable ambience ideal for round-the clock dining in New Delhi with an elaborate buffet and a wide choice of a-la-carte fare. 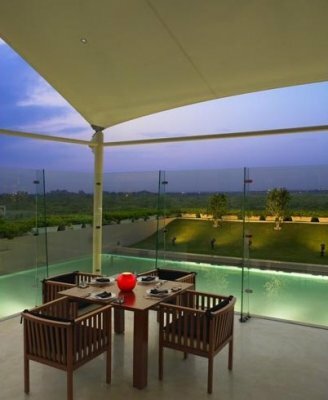 West View, our rooftop restaurant with a breathtaking view of Delhi’s green belt, offers irresistible contemporary western cuisine. An extravagant choice of grilled meats, fresh garden produce and breads straight from the oven.